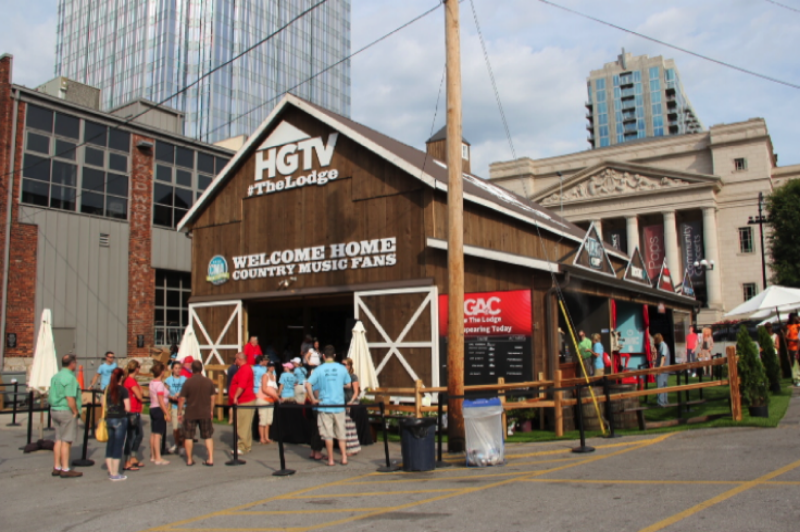 Since 2011, CMA has engaged REACH to provide turn-key event sponsor management for over 50 corporate partners at the CMA Music Festival which attracts over 350,000 country music fans to Nashville during the 4-day festival. REACH delivers partner activation services and stringent attention to detail to ensure the smooth and successful execution of their on-site activations for CMA partners such as ABC, Anheuser Busch, AT&T, BIC, CAO Cigars, Caesar’s Palace, GAC, HGTV, Jack in the Box, The History Channel and many more. From orchestrating the unveiling of the World's Largest T-Shirt with Gildan for the Guinness Book of World Records, coordinating logistics with HGTV as they built a barn from the ground up in downtown Nashville, strategizing with BIC to turn Walk of Fame Park into a sandy beach, to organizing the placement of over 25 partner footprints on the busy street of downtown Nashville, REACH continues to make apparent again in 2016 that all production and logistics go off without a hitch throughout the festival for CMA and their partners.